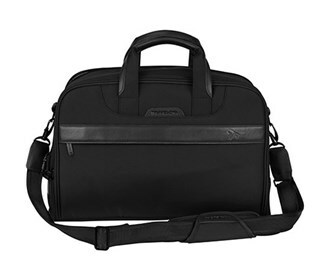 The Travelon Anti-Theft Classic Plus Weekender bag is leather trimmed travel bag has a roomy main compartment with 2 internal pockets to keep your items organized. The back pocket features a hidden bag sleeve to slip over your wheeled Luggage. It has fleece lined pockets which can accommodate laptops up to 15.6 inches and tablets. This bag has RFID blocking card slots to keep your personal informtion from electronic thieves. The Travelon Anti-Theft Classic Plus Weeknder - Black with Black Leather Trim has many exciting features for users of all types. See the Travelon Anti-Theft Classic Plus Weeknder - Black with Black Leather Trim product video above for more details. 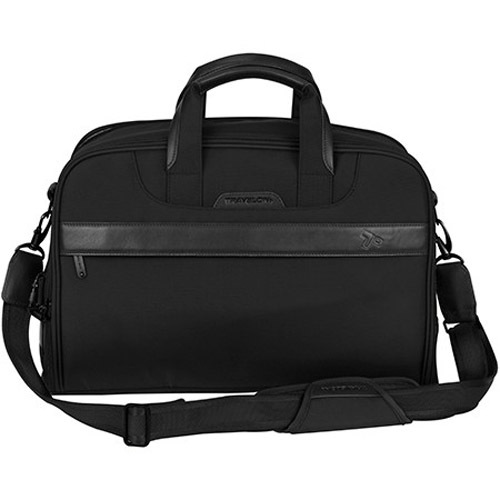 The Travelon Anti-Theft Classic Plus Weeknder - Black with Black Leather Trim is sold as a Brand New Unopened Item.